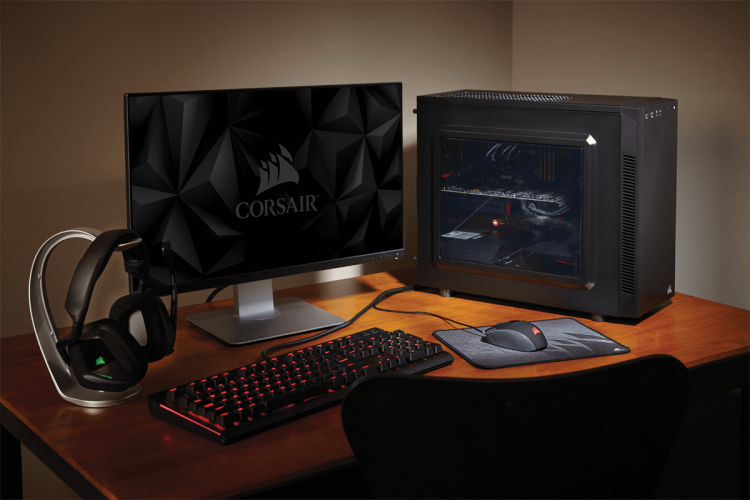 For the last little while Corsair, that manufacturer with thumbs in many a computing pie, have focussed on gaming peripherals and PSU; however today they're returning to the PC chassis market by unveiling a brand new mATX chassis in their Carbide range. The Carbide 88R is the first new mATX chassis from Corsair for some time, and brings a new option to the ever-changing budget chassis landscape. Perhaps unsurprisingly Corsair are bringing their considerable talents to bear by making the case as stylish as possible despite an affordable price tag, eschewing 'gamer' looks in favour of sharp lines and a brushed aluminium-effect finish to plastic panels. The effect is understated, but welcome. Internally there is plenty of room for most mATX motherboards and graphics cards, whilst less room than normal is dedicated to storage drives. Optical drives are still catered for though a single 5.25" bay, but 3.5" HDD placement is restricted to a two-tier sled system; you'll need to plan out ahead of time if you're looking to the Carbide 88R as a home server case. In another twist drives are mounted from the rear rather than the front, which could be awkward when fitting upgrades. Large motherboard tray cutouts should make cooler mounting and cable routing a doddle though, especially given the plethora of cable-tie points. The 88R also has ample space for cooling, although the placement will tend to be relatively non-standard. 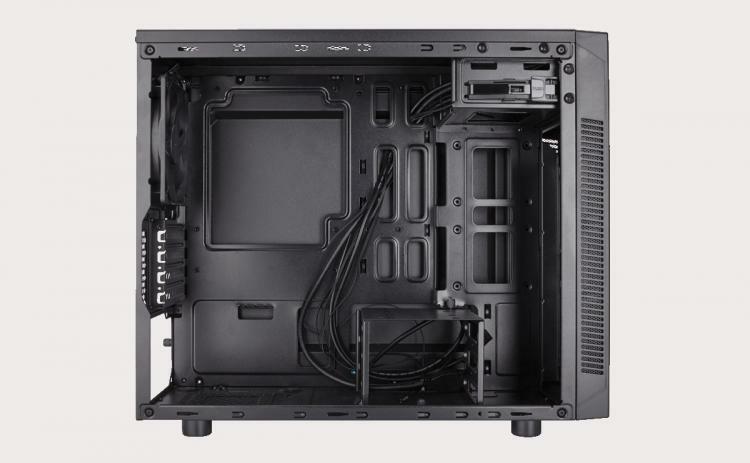 Corsair recommend radiators be placed in the front rather than top of the chassis due to space limitations, but nonetheless a 240mm radiator such as that on the H100i can still be fitted. The ceiling can accommodate up to two 120mm fans (25mm thickness), whilst the rear supports one 120mm fan. The ceiling fan mount points are offset, leaving more space for motherboard VRM heatsinks and RAM DIMMs. Front panel I/O support on the 88R is understandably basic as it features just one USB 3.0 and USB 2.0 port (with internal headers) as well as headphone/mic audio. The case measures 440 mm x 198 mm x 378 mm (LxWxH) and weighs 3.65 kg. US MSRP is from $49.99, and it's listed at £49.99 in the UK; retailer pricing may vary. 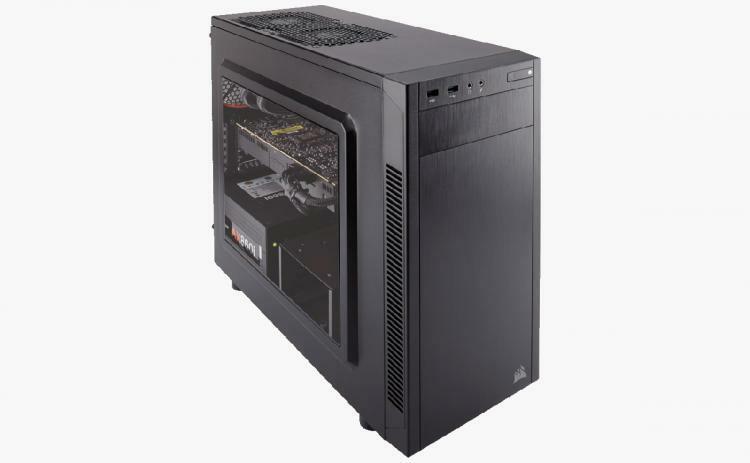 For more information visit the product page at http://www.corsair.com/en-gb/carbide-series-88r-microatx-mid-tower-case.